The submissions this year were excellent, and the mix of presentations, posters, workshops and demonstrations will give delegates some great insight into and experience of the staff-student partnership work being engaged in across the HE and FE sectors. There are a variety of ticket types available, for one or two days, at staff and student rates. This includes lunch and refreshments. If you would like to attend the gala dinner on 29 May, please add this to your ticket purchase. Accommodation can be booked separately with The Open University’s preferred partner using a discount code. All the details and tickets are available from the conference website. 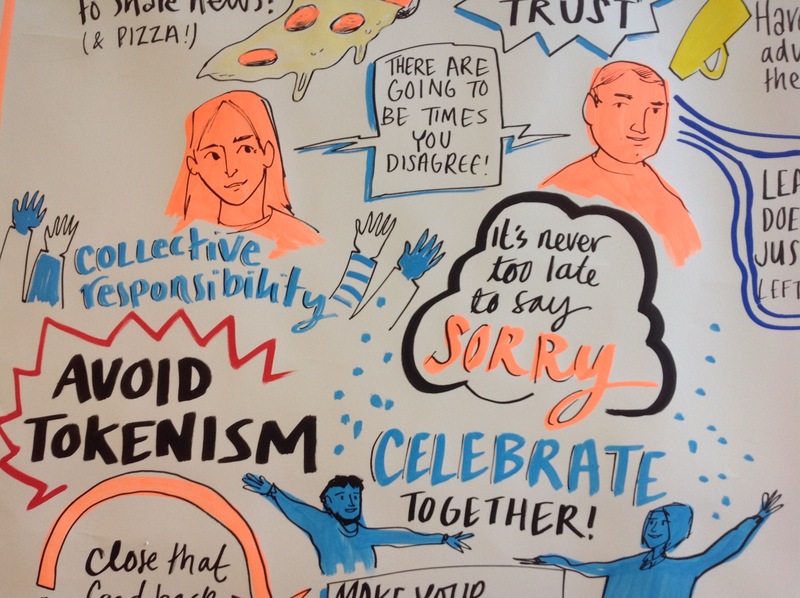 Posted by Clare Killen on April 15, 2019 in Uncategorized and tagged CAN, Change Agents Network, OU. The Open University CAN Conference team are excited to share with you our keynote speaker line up. We were determined to deliver our delegates a fresh, interesting perspective that will hopefully spark some great conversations about how we engage with each other as staff and students, and the successful future of partnerships. Ruby Granger, our opening keynote for Day 1, is a prolific vlogger and active member of the ‘studytuber’ community. Ruby is a first-year student at the University of Exeter, and describes herself a bookworm with a passion for productivity. Using social media in an engaging way, Ruby encourages a generation of students to become the best they can be. Her YouTube channel documents her enviable study habits, including a host of study tips and ‘study-with-mes’, and how her love of learning goes beyond the classroom. Ruby is a vocal anti-bullying advocate, speaking openly about her experience with it and how others can overcome it, and has taken part in several digital wellness campaigns. Scott Hayden, our opening keynote for Day 2, is based at Basingstoke College of Technology where he is a lecturer and manager of a team that supports and trains staff and students in using digital, creative, innovative approaches to learning. Closing the conference on Day 2 will be Dr Liz Marr, the Interim Pro-Vice-Chancellor (Students) at The Open University. 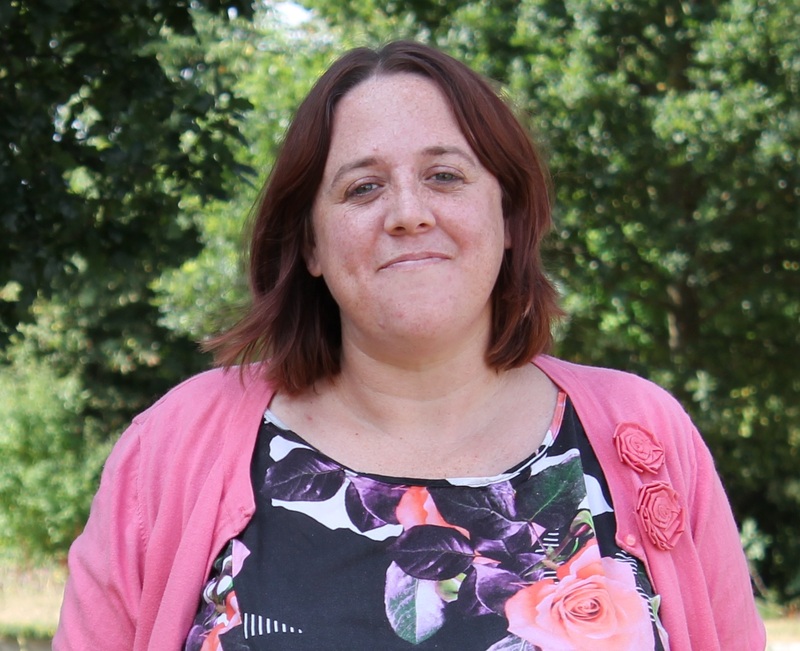 She has responsibility for all student facing development and enhancement, including student retention, progression, achievement and satisfaction, widening access and success, employability, quality monitoring and enhancement and the Teaching Excellence Framework. Liz has over twenty years’ experience in UK higher education and is co-author of ‘Identity Crisis: Working in Higher Education in the 21st Century’. She is managing editor of the journal ‘Widening Participation and Lifelong Learning’, an editorial board member of Learning and Teaching in the International Social Sciences (LATTISS) and a regular reviewer for Open Learning and EURODL. Liz is President of The European Association of Distance Teaching Universities and an executive member of the Universities Association of Lifelong Learning. The keynote speakers promise to set a great tone for the jam-packed programme of presentations, workshops, posters and demonstrations. The draft programme for the conference is due to be published imminently. Buy your tickets for CAN 2019 now, 29-30 May, hosted by The Open University at our campus in Milton Keynes. Just follow the link to Eventbrite. 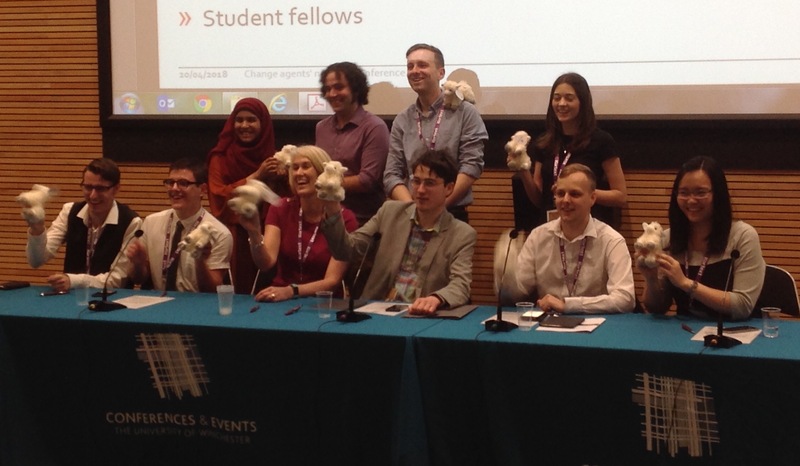 Posted by Clare Killen on April 4, 2019 in Uncategorized and tagged #CAN19, CAN, Change Agents Network, OpenUniversity, OU, StudentEngagement. A guest blog post from Elizabeth Ellis, senior product development manager at The Open University, hosts of the 2019 CAN conference. How can we as staff engage with students as partners in good faith? What does genuine co-creation of the future look like across our sectors? How do we prevent ‘consultation fatigue’? How do we make the best possible decisions to ensure that change is effective for everyone involved? And how many different ways are there to deploy post-its and Lego in the quest for a perfect workshop? I came away from that Meet Up galvanised by the ideas that I had heard about; the presentations, workshops, demonstrations and posters where I had the chance to learn directly from Higher Education and Further Education students from across the UK. Rather than come away from the day navel-gazing, I was able to come back to my role at the OU and immediately apply the ideas I had been exposed to. We changed our tack on technology research and development, completely redefining our team’s approach to assessing the needs of students. We built a panel of students who are dedicated to the co-design of curriculum, which continues to have direct impact on the development of modules, and – crucially for OU staff involved in curriculum development – meet and talk to our students. When you’re a far-flung distance education outfit, meeting students face-to-face or having direct conversations with them, is never anything but a privilege. The thing that makes a CAN conference different from other events is not just this amazing opportunity for witnessing genuine partnership between institutions and their students, but the direct relevance that the emerging practices, tools, approaches and – I’ll say it – mistakes made along the way have for our evolving landscape of staff-student partnership. You can attend a day, or both days, and feel that you can return to your team or department, and immediately begin to try out some of what you’ve learned. Since attending the Lincoln Meet Up in 2016, I’ve been working on bringing CAN to the OU’s campus in Milton Keynes. There’s always a bit of a surprised, ‘Oh, I had no idea you had a campus!’ reaction when I say that. But we do, and we’re celebrating our 50th anniversary this year. This has very naturally left us feeling quite reflective on how far we’ve come, how things have changed, and what the future has in store for us. So with that in mind, and this being the 7th annual CAN event, we knew we wanted our six key themes to offer participants the opportunity to critically reflect on our collective progress to date, and to begin to envision the future of staff-student partnership in a rapidly changing education sector. Plenty to get our collective teeth into! You can review the call for submissions in more depth here. Once your submission has been confirmed, you will need to secure your ticket for the event. Early Bird registration will open in February 2019. Posted by Clare Killen on January 16, 2019 in Uncategorized and tagged CAN, Change Agents Network, StudentEngagement. 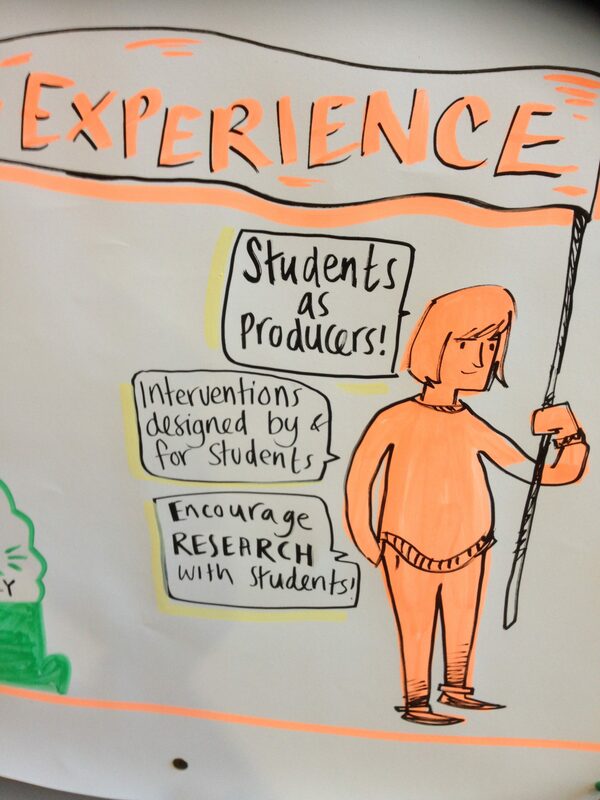 The Open University is proud to be hosting the Change agents’ network Conference 2019 in partnership with Jisc and we would like to announce the call for contributions from colleges and universities who are working in partnership with their students. In 2019 the CAN Conference will focus on the evolving landscape of staff-student partnerships at universities and colleges. With CAN in its 8th year, and host institution The Open University in its 50th year, our five key themes offer participants the opportunity to critically reflect on our collective progress to date, and to begin to envision the future of staff-student partnership in a rapidly changing education sector. How does innovation in education embrace and develop consistent, long-term engagement with students as partners? Innovation in education covers a broad field, from learning and teaching technologies and practices, to ways of working. An evidence-based approach to innovation promotes not only the successful implementation of ideas, but also welcomes discussion of pilots, experiments, and prototypes. Informed innovation relies on learning from experience, and this theme provides a ‘failure amnesty’ to share ultimately unsuccessful efforts. This theme invites submissions that critically reflect on the experience of innovating in education, and how this has evolved through partnership between staff and students. How do ongoing partnerships with students in curriculum innovation and curriculum design contribute to the development of modern and relevant learning and teaching content, materials, and practices? Submissions on this theme are welcome to explore this broad and varied area, which encompasses experiences in co-production, co-creation, consultation, engagement, student success, and the affordances of digital technologies across these. At this time of intensive change and uncertainty, in our society and in our institutions, this theme seeks to explore the opportunities and challenges of engaging students in change. How can staff and students be open and empathetic partners in sustainable change? How can difficult conversations and decisions be negotiated from all areas? In their submissions, staff and students are encouraged to share their strategies and experiences for engaging students in change. Over the eight years the CAN conference has been running, the student voice landscape has evolved and changed significantly. This theme offers an opportunity for submissions that reflect on this evolution, and institutions’ experiences of bringing staff-student partnerships to life. How will this landscape continue to change and develop? What are some of the key responsibilities and expectations of these partnerships, looking to the future? What are the implications of this for our sectors and for our students? This theme is future-focussed, inviting submissions on how both institutions and students can position themselves for success. As staff, how are we engaging our students in preparing for their future success? As students, how does your partnership and engagement with staff and institutions influence strategic thinking and institutional success? Are broader sector priorities and student priorities shared? This important theme welcomes submissions about how we engage with an increasingly diverse student body, and ensure our staff-student partnerships are fully inclusive, so that all students have the opportunity to make their voices heard. Submissions for this theme are encouraged to include examples and best practice around engagement strategies, widening participation, policies, the use of digital technologies, and experiences we can share to improve access to partnership for students. We welcome contributions from staff and students for the following type of sessions. For your submission, we ask you to outline your proposal, how it links to the conference theme/s and what delegates will gain from attending your session (300 words maximum). Presentations should be no more than 20 minutes long and will be followed with 10 minutes for questions. Workshops should be no more than 45 minutes long and include a collaborative activity with time for discussion and questions. Posters should be no more than A0 Portrait Size and will require the designer to prepare a 5 minute presentation to showcase their poster in addition to answering questions. An interactive opportunity to showcase a project, activity or work, you must prepare a 5 minute presentation to showcase your demonstration in addition to answering questions. Posted by Sarah Knight on November 30, 2018 in Uncategorized. We are delighted to be working with The Open University who will be hosting the 7th annual Change agents’ network conference on 29-30th May 2019. This conference offers a unique opportunity of celebrating the power of student-staff partnership working which is now recognised as a driver for curriculum innovation and change. The Open University takes forward the highly successful event from the University of Winchester who recently hosted the 2018 event. The importance of working in partnership with students is also reflected in Jisc’s own work, with the launch of Jisc student partners to inform our own developments. 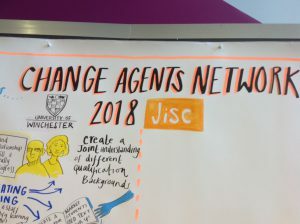 The Open University (OU) will be hosting the 7th annual Jisc supported Change Agents’ Network conference in May 2019. This two-day conference is an opportunity for the OU to showcase its ground breaking change agent and student partnership work, and engage staff and students from Higher Education and Further Education institutions across the UK and Europe in a network of experience and best practice. 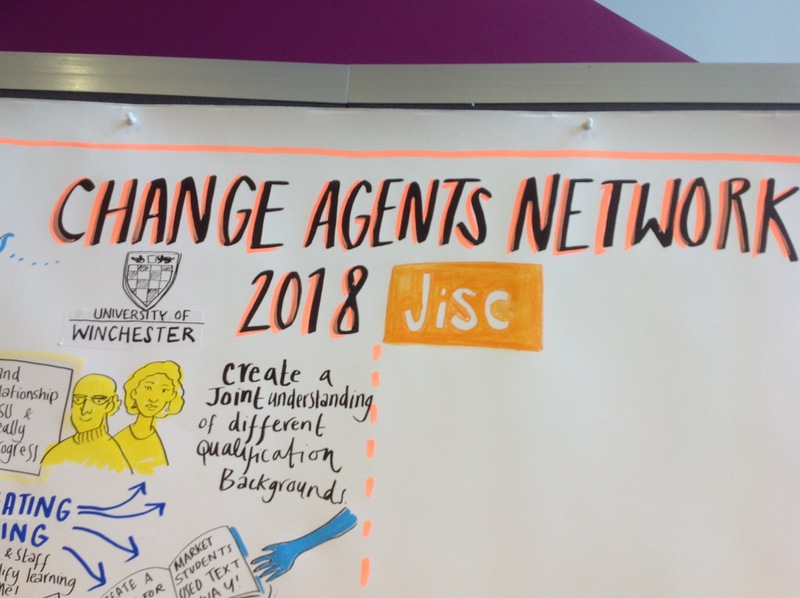 The purpose of the Jisc supported Change Agents’ Network is to promote student-staff partnership work; staff and students working as change agents, digital pioneers, digital ambassadors, or other roles in partnership with staff on technology-related teaching and learning projects. The OU has excellent examples of best practice in these areas, with a rich narrative of innovative partnership with students in the development of teaching and learning content, experiences, activities, tools, and platforms. With the key feature of the CAN conference being students leading or co-presenting sessions and workshops, CAN also provides a valuable avenue for students in HE and FE to develop skills as they share experiences. With 2019 being the OU’s 50th anniversary, bringing the conference to the university will be an excellent opportunity to showcase our unique brand of innovative teaching and learning, and invite staff and students from across the HE and FE sectors to bring their expertise to Milton Keynes. The OU is well placed to present a professional and exciting conference that maximizes the value of being on Walton Hall campus. Posted by Sarah Knight on July 16, 2018 in Uncategorized. Posted by Ellen Lessner on May 30, 2018 in Uncategorized. Posted by Ellen Lessner on May 22, 2018 in Uncategorized. The Change Agents’ Network conference at the University of Winchester on 19 and 20 April was an opportunity for staff and students to share their experiences in organised sessions as well as many informal ways; the breaks and meals in the warm sunshine encouraged us to sit and talk. The conference was excellently organised and supported by the Winchester team who we thank for the considerable effort involved in putting it all together. You can get a ‘flavour’ of the conference by having a look at the Storify from the CAN 2018 conference which is here. 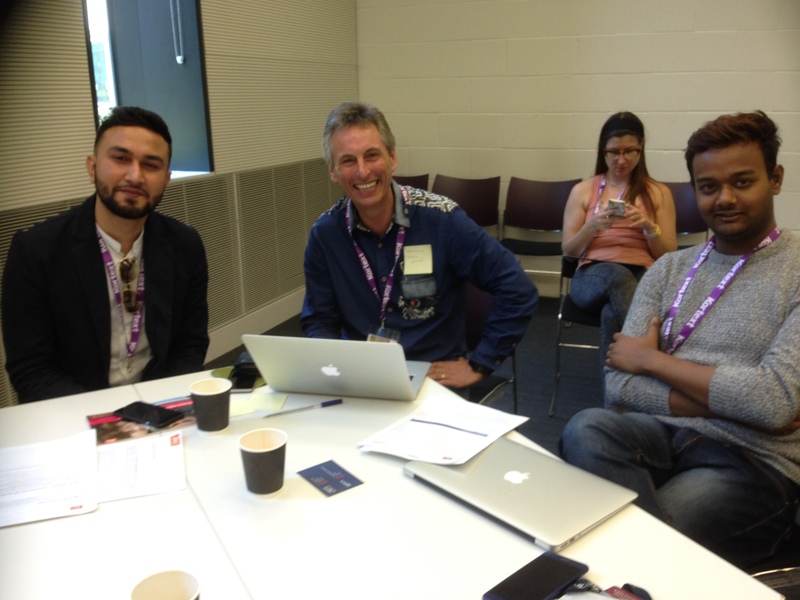 Jasper Shotts, lecturer, and Reece Taylor-Long, student, at the University of Lincoln presented a CAN session called, ‘Making it worth your while; staff-student partnerships for more flexible learning’. Read their conference reflections here. In the coming week, we will be adding resources from the sessions and photos. While you’re waiting, here is a little sample of images from the event. Posted by Ellen Lessner on April 22, 2018 in Uncategorized. 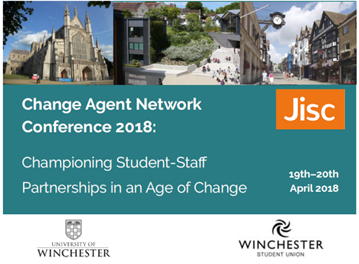 Proudly hosted by The University of Winchester, the 6th annual Change Agents’ Network Conference offers a unique opportunity to showcase and celebrate innovative practice in student and staff partnership working and how this is driving curriculum innovation. This year’s conference promises to be the best yet! A notable feature of the conference is that most workshops involve students as workshop leaders or co-presenters. The Twitter hashtag for the conference is #CAN18. Posted by Ellen Lessner on February 26, 2018 in Uncategorized.